Computers have gone from being the purview of researchers and hobbyists to being ubiquitous. The number of patent applications and prosecutions reflect this change – in fact, computer technology accounted for more recent patent applications than any other sector tracked by the World Intellectual Property Organization. With the rise of smartphones, tablets and the application of computer technology in everything from automobiles to household appliances, we expect this trend to continue and are uniquely positioned to work in this fast-moving field. The chemical patent process is complex and our clients benefit greatly from our expertise. With patents relating to everything from life sciences to basic consumer products, having the knowledge to navigate the complicated nature of chemistry is essential. Our team is well versed in chemical engineering and has years of experience in the chemical patent process. This nuanced area of patent law covers various conducting materials and their implementations. Like our other areas of expertise, the electrical and electronic patent process requires an extreme attention to detail as well as a clear understanding of emerging technology. Our IP professionals and their support staff have up to date knowledge of the newest developments in this constantly changing field. Biotechnology is one of the fastest growing sectors of patent law. In the US and Europe, natural biological substances can be patented if they are sufficiently isolated from their natural states. While patents exist for adrenaline, insulin and various vitamins, recent court rulings have declared naturally occurring DNA sequences ineligible for patents. 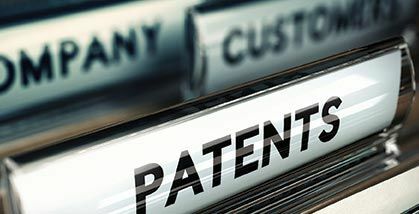 This area of patent law is constantly evolving. Our professionals have experience in this field and stay on the cutting edge of this technology. Mechanical processes have evolved right along with advances in the computational, chemical and other technical fields. As mechanical devices have become more complex, so has the patent process. With our expertise, as well as our vigilant support staff, we are prepared to begin processing patents involving machinery and related devices. With advances in motion sensors, accelerometers and other inventions that involve the intersection of electromagnetic phenomena with physical objects, we’ve made sure to stay abreast of all the related court decisions and innovations within this rapidly changing industry. Our Attorneys, IP professionals and their support staff are quick, efficient and ready to guide your innovations through the patent process.